Can I get a job immediately? It depends. 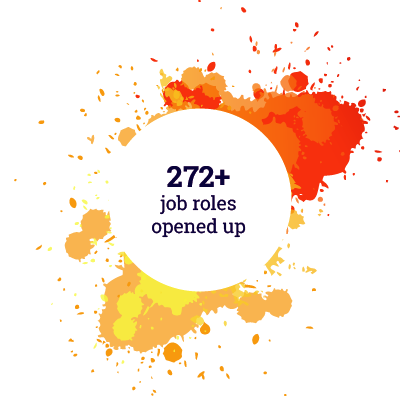 In the last one year, we were able to generate 830 vacancies. So, jobs are available - you have to see your suitability for the job. But we were able to fill only 60% positions. Why? 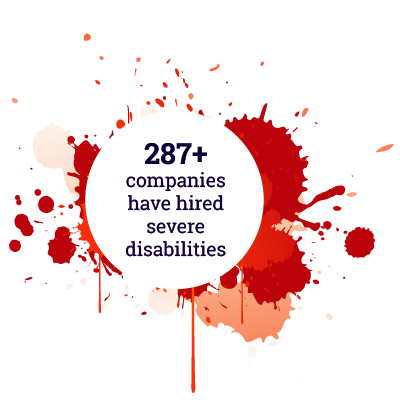 Company requirements may not have matched candidates skills, interests or disability related needs. In some cases, company policies or awareness levels do not match the candidates. If you have a degree/diploma, and are flexible regarding job, salary, and location, it will take an average of 3-6 months for you to get a job. This duration can increase or decrease, depending on the nature of your disability, skills, company requirements what you need to do your job well (such as workplace solution and enabling environment), etc. How can I improve my chances of getting a job? I am a fresher. Through the test, you can find your strength and improvement areas. Increase your chances for getting job by 90%, by doing employability training. Take a look at our course catalogue to see what trainings are available for you. In fact, 9% candidates with disability have gotten jobs on their own, after doing the training. Reason: they have got enough exposure and experience and have become employable. They have learnt how to self-advocate and network better. You can do this as well, and improve your chances of getting a job. Interestingly 2% persons with disability have got jobs which are higher than their education level due to employability training and inclusion at company For example: we have placed BA graduates in MNC jobs that required MCA degrees; and placed candidates who have passed 10th standard in software testing jobs. Contact Us to join a training. Can I get a job without any training? Last year, Enable India was able to employ 16% of the people registered with us directly, without any training. It is possible for you to get a job without having undergone training, but we have observed that training increases your chance of being retained at the job, and performing well. Moreover, our research has shown that 85% of the candidates trained by Enable India feel that the training has helped them perform better at work, and improve their personal lives as well. Unable to join training for the Enable India experience? Sign up for online courses at Enable Academy in the meanwhile. I am registered with Enable India, but I still haven’t gotten a job. If you are already registered, take a prior appointment for Candidate Counselling that happens on Saturdays, between 10am and 6pm, so that we can discuss and focus on moving things ahead. You can get an appointment by contacting us through email (helpdesk@enableindia.org) or phone (080-67323636 or 9845313919). Our Customer support lines are open from Tuesday to Friday-10:00 am -6:00pm. Reason: after you register, we profile you to match you quickly to the right job. You are put in our activated list which increases your chances. 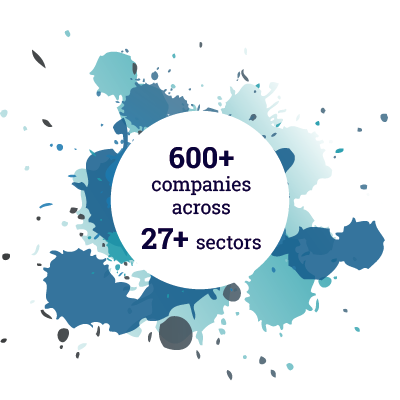 Enable India with many of its partners and networks are constantly opening up jobs and vacancies in companies. But even then, jobs suitable to your needs may not be available for many months. A discussion will help you and Enable India to explore other options or understand the job reality and take decisions accordingly. 60-80% Enable India employees working on employment and training are persons with different disabilities. Hence, they understand your issues and worries. They have also gone through the same and will empathize! Please contact us through the methods given below. Give us 2 working days to respond to your queries.